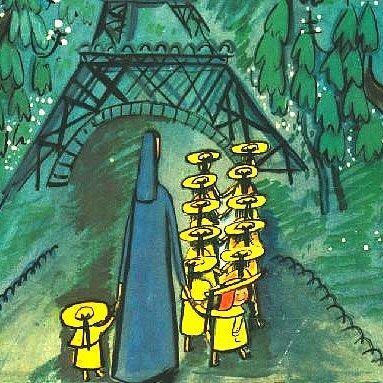 When I was planning my move to Paris many years ago, a friend in Toronto introduced me to the delightful series of children’s books by Ludwig Bemelmans. I fell in love with the heroine, an intrepid little girl called Madeline. I was enamored with the illustrations that so artfully capture Paris of the 1930s. And with the silly rhymes that recount the adventures of feisty little Madeline, who lives in a boarding school along with the unflappable Miss Clavel and Geneviève, the little dog who saves the girl from drowning in the Seine. Intimidated by la capitale and its denizens, I was inspired by Madeline’s fearlessness. As I floundered my way around, getting lost and attempting to ask directions, I would imagine those little girls in their two straight lines, walking sedately as French children do. I would picture the bravado of Madeline as she chased after Pepito, the Spanish ambassador’s son. If ever there was a heroine after my own heart, it was she. When I married my own Pepito, a Frenchman some seven years my junior, and we stood in gilded chambers before the moustachioed mayor, I thought of Madeline and said ‘oui’ with gusto. And I was further inspired by Bemelmans’ heroine some years later. My husband and I wanted to choose names for our children that would ring well in both languages. Our first child was a boy and we called him Elliott. But our second child, the smallest, was a girl. Madeline. Our daughter grew up to be as fearless as her namesake. Here she is with the lions. Where on Earth was Madeline to be walking along so unconcerned with a lioness? It’s not your every day pet. What a beautifully written and charming piece. 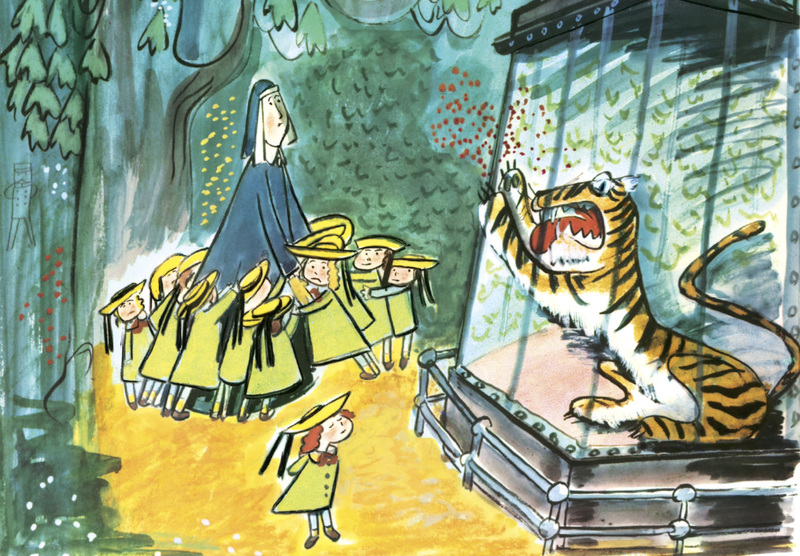 I too adore Madeline and read it and read it to my daughters but none is called Madeline and (perhaps therefore) none has a lion! Merci! Glad you enjoyed it, and perhaps just as well for your daughters – I could do without pets like that! Oh no, he’d sleep through just about anything! It’s a gift – possibly given only to men. But I think he was more worried about the locals than the wildlife! We did have some sleepless nights but he forgot to have them…..
Oh I loved these books so much “quand j’étais petite” ! 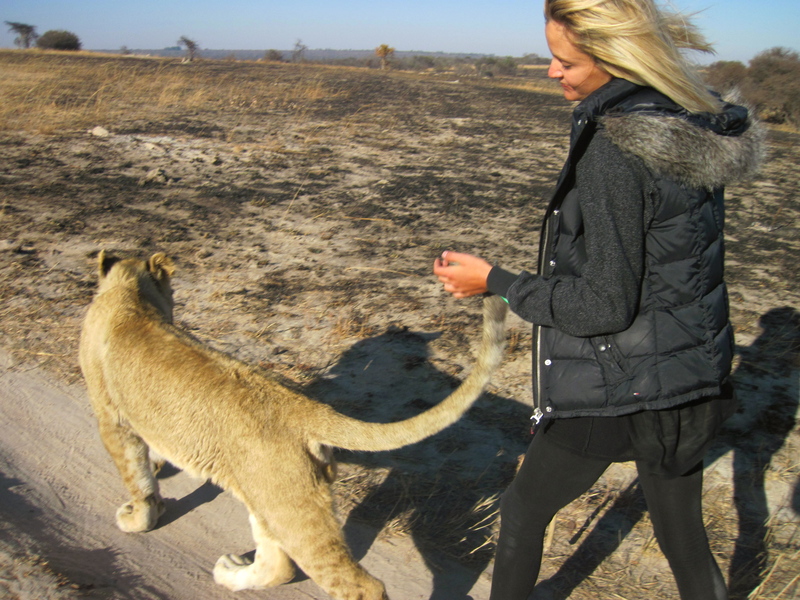 I admired her bravery and it makes my heart happy to know there is a real Madeleine out there walking a lion!! Merci! 🙂 And I wish someone had read them to me when I was little – maybe I’d be as brave as my daughter! Merci Sheila! I love the pronunciation of Madeline in both languages – in French it’s more like ‘Mad-leen’.